If you are looking for a career that will offer a perfect balance between your love for the marine environment and flair for science, then apply now for the National Diploma in Marine Science. The course is the latest addition to the more than 70 internationally recognized qualifications offered at CPUT and will be rolled out in January 2015. 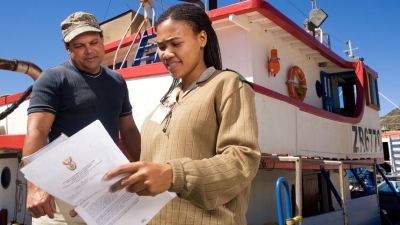 CPUT has a long and excellent track record of producing graduates in marine related qualifications and this course has been specifically designed to ensure that students gain the necessary skills to take up careers in the exciting and fast-paced marine environment sector. The course is offered over three-years (or 4 years for the extended curriculum) during which students will be exposed to all elements of the marine and coastal environments. Students can also expect to get first-hand work experience in various fields of marine science during the Workplace-based Learning module offered in their final year. As for career options, graduates will be spoilt for choice and can choose to follow marine and coastal research-based careers or opt for employment opportunities in marine conservation, government agencies, the private sector, environmental education, aquaculture or operational oceanography. The Marine Science Diploma will be offered in CPUT’s Department of Biodiversity and Conservation which has a highly qualified and extensively experienced staff complement, and students are sure to receive excellent teaching, mentoring and training.